Community Transit 105 bus. Photo courtesy of Community Transit. On Monday, September 3, 2018 Community Transit will operate Sunday bus service. Route schedules can be found at: www.communitytransit.org/schedules. 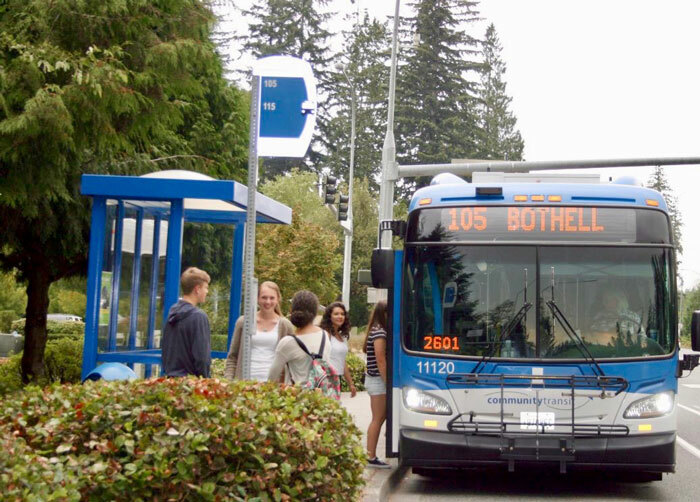 Find real-time departure information for Community Transit buses and Sound Transit Snohomish County buses at www.MyBusFinder.org. Last chance for the Fair! Labor Day is also the last day of the Evergreen State Fair in Monroe. Community Transit provides service directly to the Fair’s West Gate entrance. For more information on bus service to the Fair, visit www.communitytransit.org/fair.